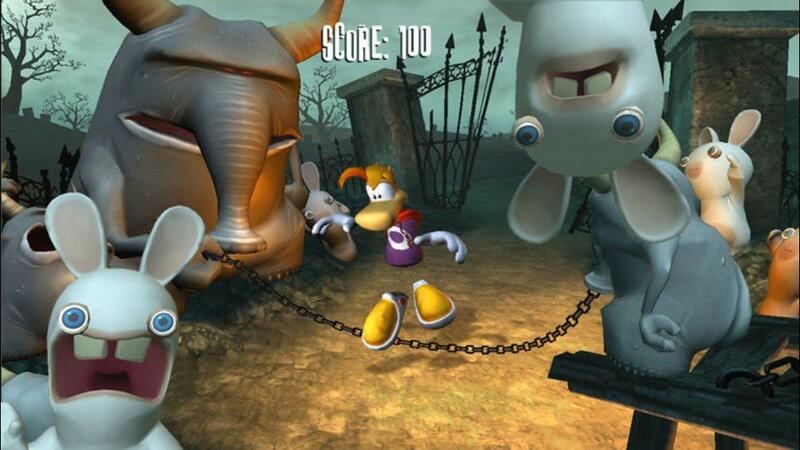 Rayman Raving Rabbids is a casual game where you play as Rayman, challenges 75 trials minigame to save baby globox and get out of the jail of raving rabbit. 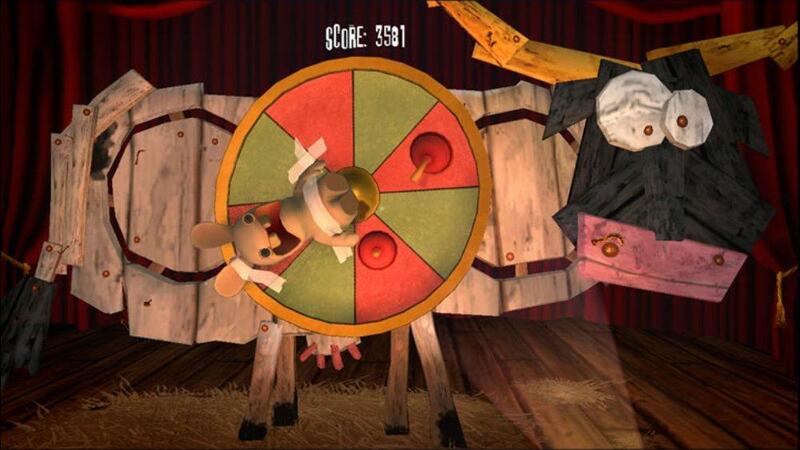 Play score mode to beat record of 75 trials and unlock movies as well as artworks. This assassin’s accomplice can be your pet if you dare, ready to strike at a moment’s notice with his crafty carrots and stealthy fly swatter. 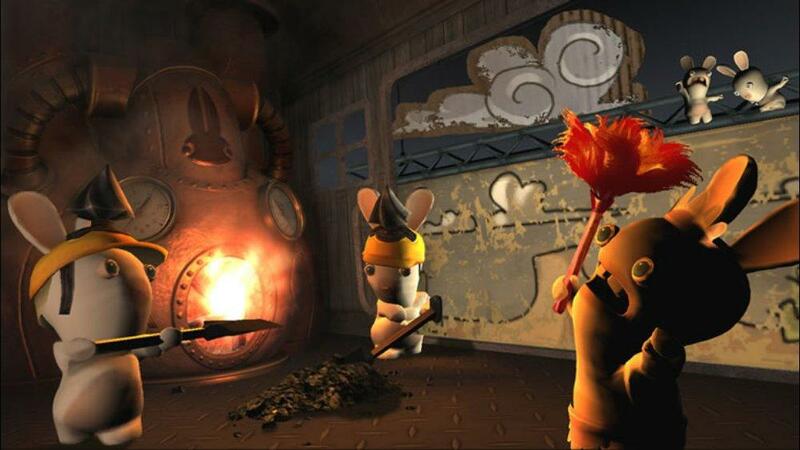 Who wouldn’t want a helpful hare on hand to swat persnickety pests? This pet Rabbid comes with his own fly swatter to get the job done. 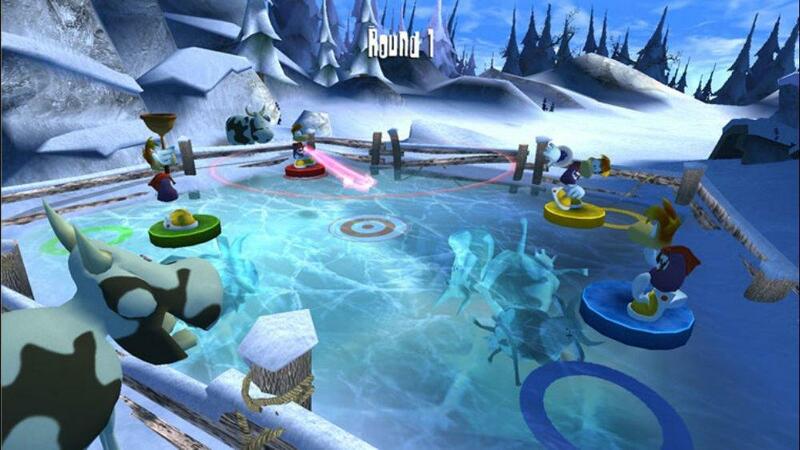 Rayman Raving Rabbids - Keep your noggin warm and show off your Rabbid pride with this bug-eyed beanie. 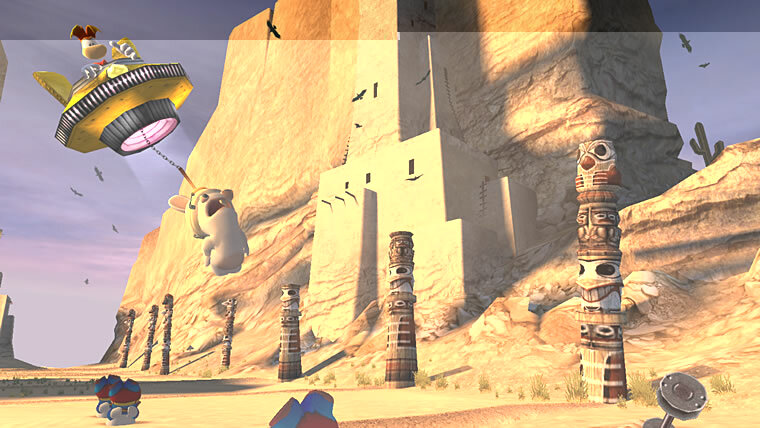 Whip out your nunchucks and spring into action with this cool long-sleeved Rabbid ninja tee. Hiiii-yah! 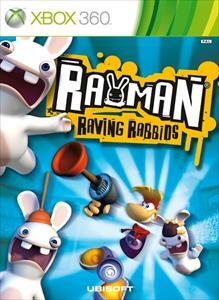 Rayman Raving Rabbids - Ahoy, me mateys! Keep your timbers from shivering with this Rabbid skull-and-crossbones. Perfect for pirates and landlubbers alike! 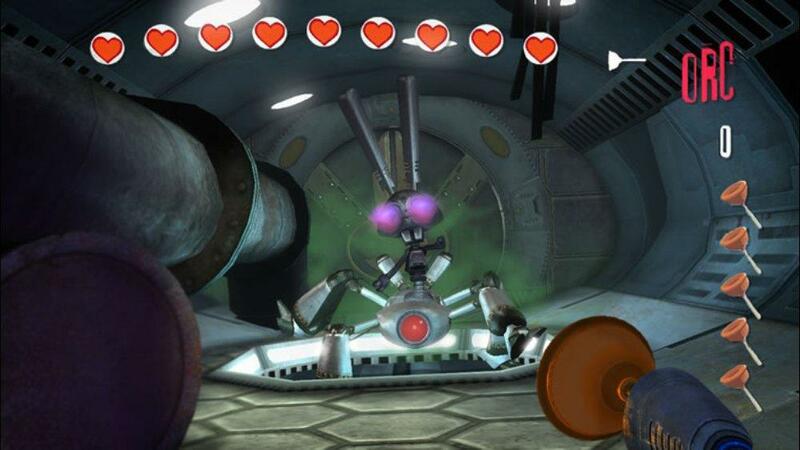 Rayman Raving Rabbids - Sam Fisher only got the goggles; now you can have the whole head with the Rabbid Fisher helmet. 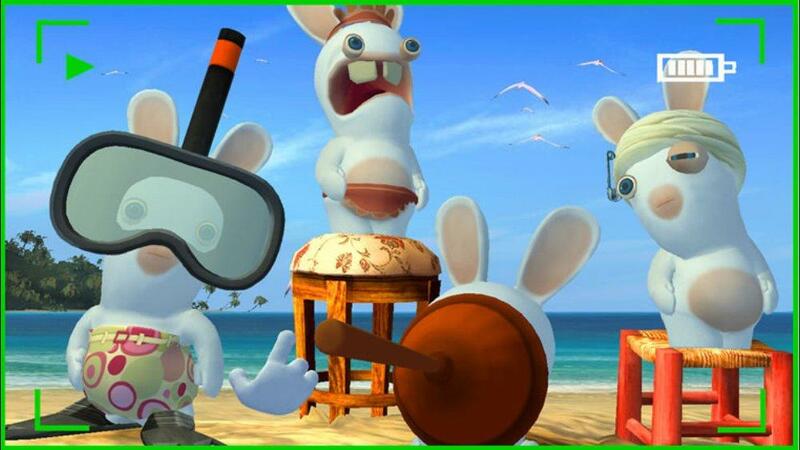 See the world through the eyes of the Rabbids with this stylish helmet. It’s bwaaaaaaaaaaaaaasome! Slumber in style with this stylish set of unisex Rabbids pyjamas. 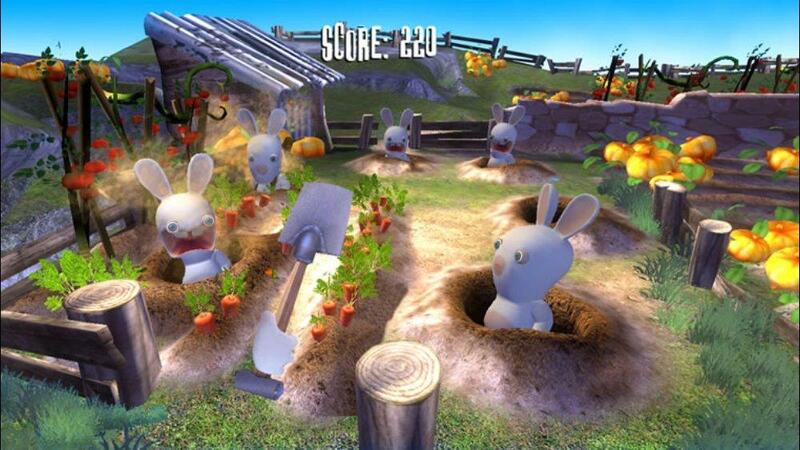 Scream if you love the Rabbids! Or, uh, just wear this nifty t-shirt. The skull-and-crossbones isn’t just for pirates! Now even the lasses can sport the bunny roger with pride. Anchors away! Step into your saddle shoes and saunter to the sock hop with this bunnyriffic poodle skirt. 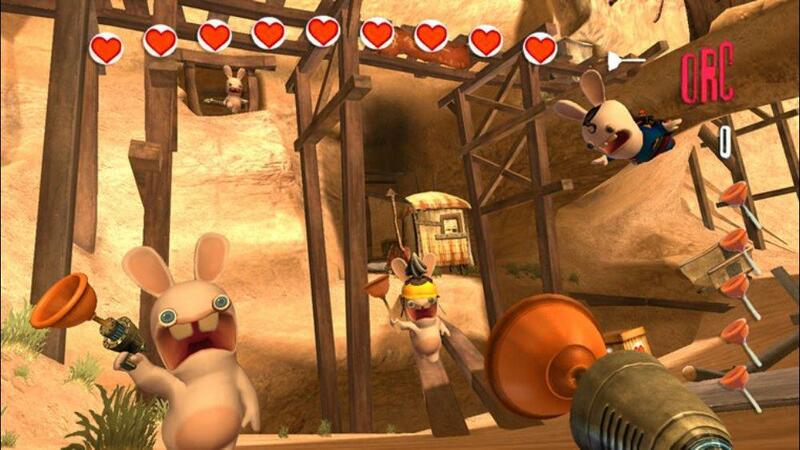 Rayman Raving Rabbids - Give the Brazilian Bombshell a run for her money with this happening Fruit Basket Rabbid helmet. Muy caliente! 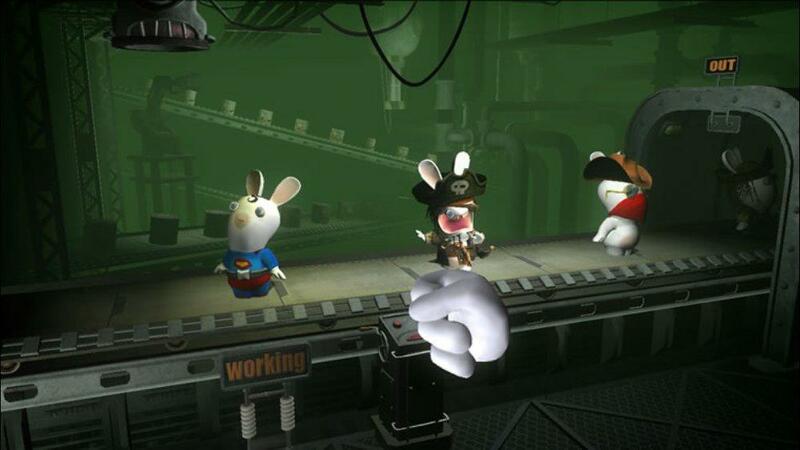 The Raving Rabbids are invading Xbox Live! 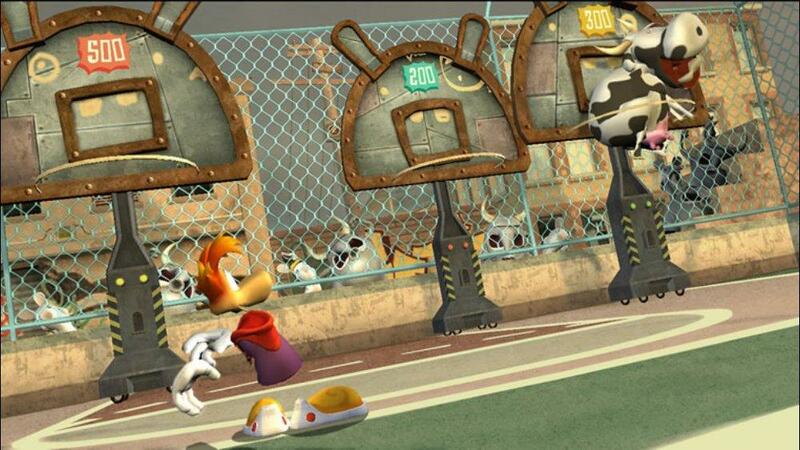 Save Rayman from Bunnies gone bad. 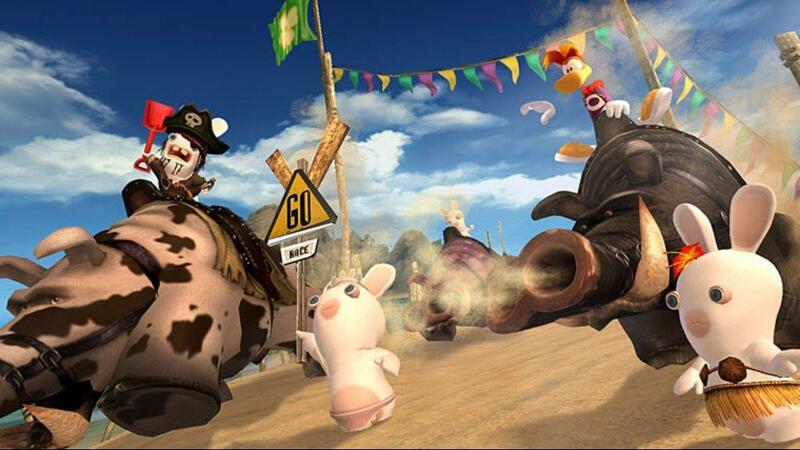 Play tons of quirky games: throw cows, milk pigs, engage in toilet-plunger-shooting action and get wacky in Rabbids dance contests.